How to survive in the jungle? Maker to Market Bootcamp 2019 is on! Apply now. Are you a designer, artist or creator working with digital fabrication tools common in Fab Labs? Want to travel free to Bilbao, with travel and accommodation and expenses paid, to design business strategies that will allow your project to grow with the help of stablished professionals from the Fab Lab ecosystem? Do you create market oriented products? Want to learn how to survive in the jungle? Then this might be interesting for you. Call is open until march 31st! Maker to Market Bootcamp is an initiative by Espacio Open and its digital fabrication laboratory Fab Lab Bilbao. The Project consists in two intensive mentoring sessions created to help designers, makers and emerging talents in their steps to create business strategies which are adapted to the new contexts of manufacturing and product sales in creative and cultural industries linked to Fab Labs and the Maker movement in general. A total of six selected projects will go to Bilbao, with travel and accommodation and expenses paid, to receive mentorship from an interdisciplinary team to help them design a strategy and narrative that will help them surf successfully the digital wave. Maker to Market Bootcamp: How it works? An Open call for designers/makers/creators interested in improving their skills in business strategy, storytelling and community building in order to orient their talent towards new market niches linked to cultural and creative industries trough Fab Labs and the Maker movement. A total of six projects from EU countries will be selected by a Evaluation Committee composed by maker/design/business strategy professionals. Selected ones will assist to the intensive sessions in Bilbao. After the Bootcamp, selected talents will be able to expose their projects as part of the Distributed Design Market Platform (distributeddesign.eu). The objective is to help them design long term business strategies that will allow them to benefit from all the Fab Lab network and Maker movement potential. 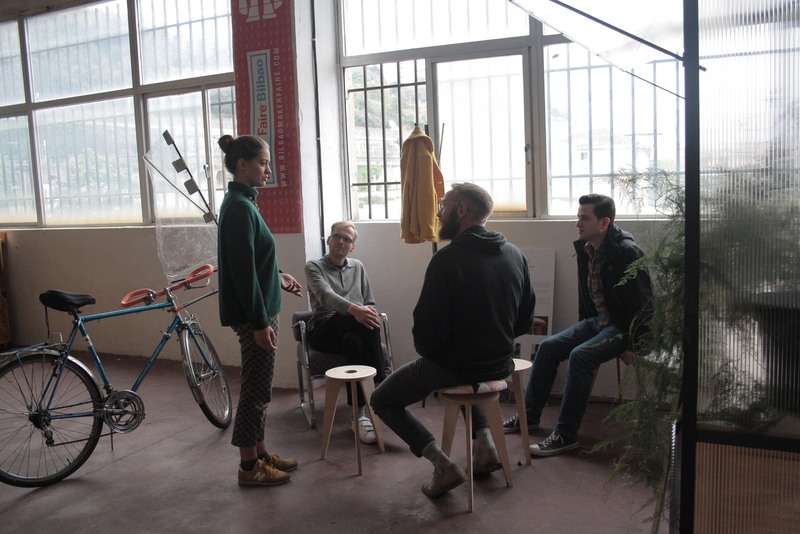 The designs will also have visibility during Maker Faire Bilbao, where they can connect with some of the best European makers and the general public. We’re looking for people with ongoing projects linked somehow to Fab Labs and Maker movement. The projects should be oriented to product sale. The Call is open to any project from designers, artists, makers and other emerging talents. They can be professionals, students or amateurs who are in professionalisation process. Is the design accessible through digital platforms, as through an online repository or online archive where files can be downloaded. Does the product allow customisation depending on individual needs? Are there principles of circular economy in the product, or does it create value for people, companies or society? A jury with specialists in design, strategy, community-building in the Fab Lab network and the Maker movement will assess the different proposals. A total of six will be selected to join the Bootcamp. 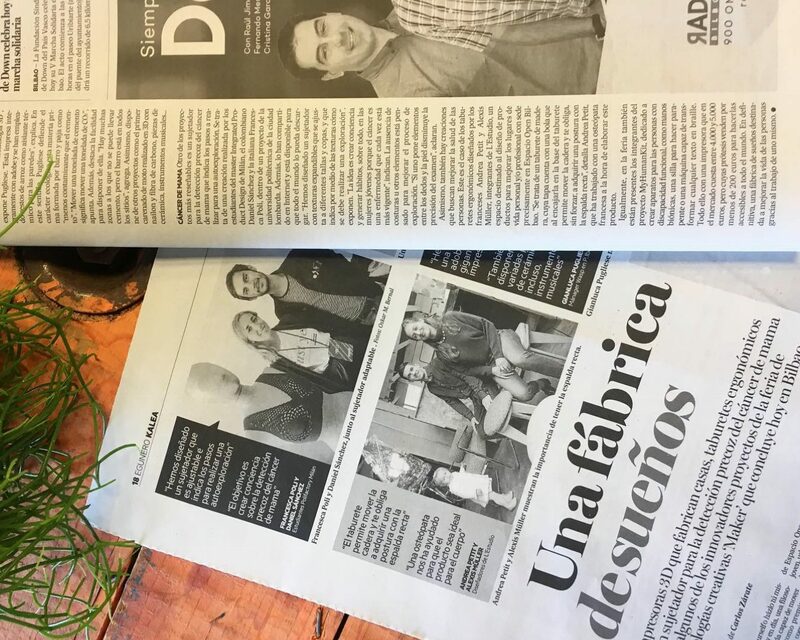 Projects in the local newspaper! Interviews of Palpatine and erKo in local newspapers of Bilbao. PANORAMIC VIEW: Know the market oriented Fab Lab / Maker ecosystem with the help from the DDMP project and its collaborators. This will allow you to identify, both locally and globally, business opportunities who are consistent with your project and its objectives. DIAGNOSTICS: Recognised maker community members, researchers and social entrepreneur will walk you through a session to clarify your stakeholders map , and both you business and community building strategy. This will allow you to have a better view of what niche markets should you aim to and what tools or allies you need to succeed. MATCHMAKING: You’ll hear from many creative and cultural industries executives, as well as other sectors linked to the DDMP platform to know what are their needs and thus connect with clients and adapt your product and services portfolio to the market reality. Sunday 31th March 2019: Call for proposals is closed.